Jewelry must be unique enough to be worn as a means of personal expression. It must be beautiful enough to transcend through time. It must be artistic enough to reflect life in all its shapes. That’s why my philosophy in creating jewelry is to design artistic, conceptual pieces that make a statement when a woman wears them. My work is not about assembling gold and gemstones, it is about giving unique shapes to life through these materials. Every time a woman wears my jewelry, I want her to see her beauty and to know that she stands out, because just like her jewelry, she is unique. Welcome to my world. It’s all yours to discover, one piece of jewelry at a time. Rami Abboud paints his pieces with rare gems and plays with colours to create eternal pieces that express in a special way his vision of the feminine spirit. Throughout his journey, he has developed a very specific style, which is the sum of not only his worldwide travels, but also his architectural and gemmological studies. His undoubted fascination with the sculptural qualities of the human body has led him to create ‘contemporary wearable sculptures’ that mould to the body. Architectural, geometric shapes create a constant to Abboud’s organic forms; he imagines every piece in its three-dimensionality to enhance the character of his jewels. Coming from a long line of jewelry creators spanning four generations, Rami Abboud is a high-end jewelry designer, whose work has drawn the attention of museum curators, art researchers, high-end clientele and celebrities worldwide. His great grandfather paved the way since 1850, creating pieces that became references in the jewelry world. Having inherited this art through the genes, Rami produced highly artistic designs that made a name at high-end art jewelry exhibitions. His work is permanently exhibited in prominent art museums worldwide. He has also been referenced in major jewelry books as a creator who has revolutionized the approach to jewelry by introducing new conceptual designs and techniques. 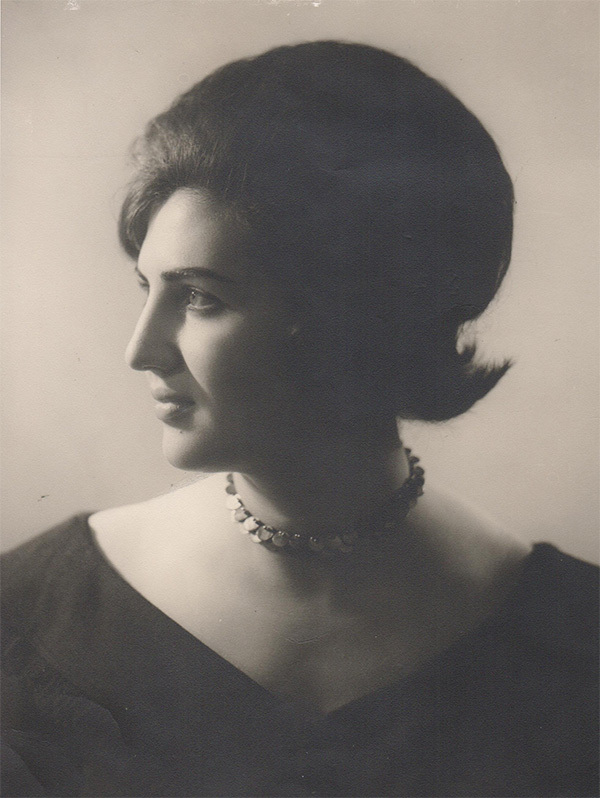 Nada Abboud – Rami’s forever inspiration.